Hair holds a different significance for every woman. From the color, style, length, and texture, we all have different needs and wants. It’s no surprise then that each country brings a variety of hair trends. Here are some fun hair facts from around the world. The women in Brazil do not mess around when it comes to their hair. So much emphasis is put on having beautiful hair that the typical Brazilian woman uses 3-5 products to prepare her hair for styling in the morning. 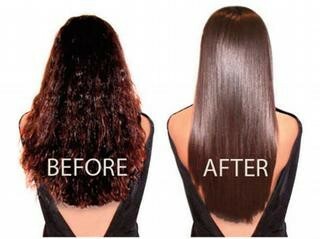 Because of this, the Brazilian blowout, which is used to tame super frizzy hair for a long period, became widely popular and is now a big trend in the U.S.
To further emphasize the importance of having beautiful locks, Brazil is leading the hair care market in Latin America with sales totaling to 5.9 million (http://www.happi.com). Moreover, there are approximately 342,000 salons in Brazil, with many concentrated in the southeast. In this area, you could see about 10 salons in just one block. Some of the best quality hair comes from Asia. The hair business in Asia is so serious that some women even have to sign a contract to ensure that their hair grows to a certain length under the most desirable conditions. For example, some women must keep their hair from pollutants and practice extreme care in order to provide hair in the best condition. Although many woman could never phantom the thought of living with no hair, for many of these women, it is the most simplest and most effective way to provide for their family. Here’s another interesting fact: A good portion of the human hair that you see on hairpieces, wigs and extensions originate from a Hindu temple in South India. 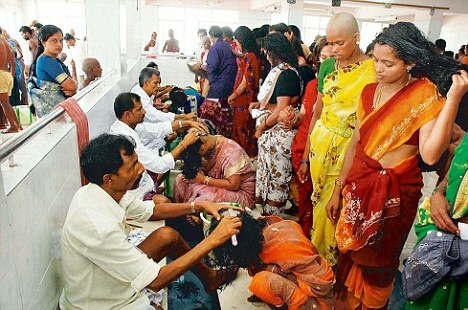 The Daily Mail reported that approximately 4,000 women visit the temple on a daily basis and shave off their hair as a symbol of surrendering their ego to the god Vishnu. Wearing hair is common among African American women. A booming trend in this group is the growing acceptance of wigs, specifically custom human hair wigs. 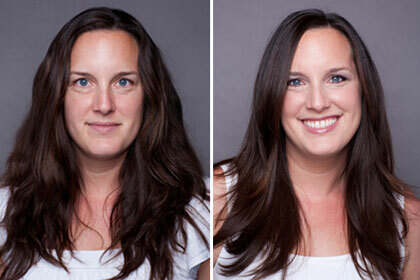 More and more women are noticing the benefits of wigs. Not only are wigs a great way to change your look for a special occasion, but a custom quality wig will last longer and can be used and treated like real hair. Another popular trend in the African American community is geometric wigs. These wigs are built with less hair than your average wig but have more precise cutting, and thus, look like a very expensive cut from a high-end salon. It’s common knowledge that the United Kingdom is always in the forefront of fashion, beauty and hair trends. The latest trend coming from the UK is the use of human hair on clothes! According to designer Charlie Le Mindu, we all will be wearing clothes made out of human hair in the near future. A very well-known celebrity who has already embraced this unusual and peculiar trend is Lady Gaga, who has worn some of Le Mindu’s designs. Le Mindu makes everything from hats to full outfits. His work has been featured in London’s V&A museum and Vogue magazine.